Headzup Hats – Hats Off to You! Although she looks mighty cute in her HAT, we are not honoring her for that. She is just a really special person. Anyone who knows Darryl will find that out about her. Just sharing on her character, because every now and then, we need to. Like hats have definition and character, so also does our soul & spirit. In fact, they shine even brighter, when we wear them. It’s good every now and then to reflect on keeping character, so today, we chose Darryl. 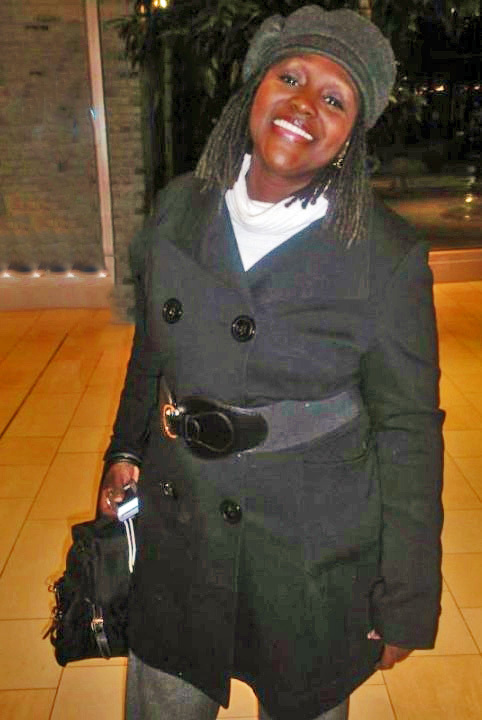 Darryl loves to wear hats and when she does, her sense of YOUTHFULNESS and her sense of pizzazz comes out! I love this picture of her, because you see a side of her that’s originally a part of her fun-loving personality! A little more about Darryl. She works in Brooklyn, N.Y. as a Captain of the Salvation Army with her husband Rodney. They have been with the Salvation Army over 15 years and love working with families, youth and people who have addictions. She is a trooper and a really good friend ( Just ask her sister.) although Darryl lives in Long Island, her heart is in Cinci, Ohio & Colorado where her three daughters and her four grandchildren and 1 son – live , respectively. Darryl loves taking pictures and her work reflects her sense of art expertise. Check out some of her work here. This entry was posted in Hat Interviews, Hat Lovers!, Personality & Style. Take a WiLd Chance: WEAR A HAT!